Italian distributors and creators of fine niche perfumes Calé continue to pleasure my nose with their aromatic chypre release, Preludio d'Oriente. Tales of a Thousand and One Nights inspire this creation, where creators Silvio Levi and Maurizio Cerizza draw upon the Near and Far East to compose a perfume that is every bit as enchanting as a stroll through the Maharaja's gardens. Preludio opens with a brief sparkle of sweet mandarin and sour citrus... one that is short lived as a stunning incense accord reaches up from beneath and spreads out laterally, cloaking the perfume with a husky, semi-opaque shroud. The mildly metallic/resinous aroma of raw frankincense stones can be identified; furnishing one with the distinct olfactory sensation of standing in the medinas of Northern Africa. Where most Eastern-inspired compositions would likely reference the abundant spices of the Asian souqs, Preludio d'Oriente looks the other way and tips it's fez at the many tanneries instead; incorporating a moderately creamy, lightly animalic mountain goat leather accord. This deliberate decision I feel puts Preludio above and beyond other scents of the same genre, where innovation and intelligence triumph out over the obvious and the commonplace. 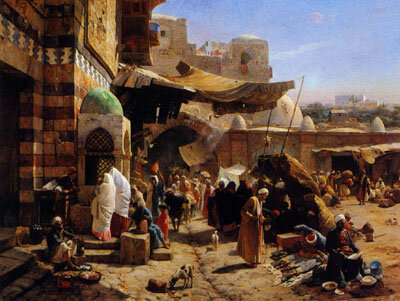 As the perfume settles, a beautiful, velvety sandalwood emerges, and I instantly think of ornate wooden boxes and perfumed sandalwood fans that have been painstakingly crafted by hand beneath the shade-giving tents of the Maghreb. A hint of placid patchouli in the base acts as an anchor and allows it to sit on the skin for around 7-8 hours. The official perfume pyramid references agarwood here too, though I struggle to pick it out... there is very little medicinal, animalic or overtly balsamic about Preludio d'Orient to suggest it has been used in abundance. This being said, the drydown is one of the most enjoyable I have encountered in a very long time. One definitely to be tried. 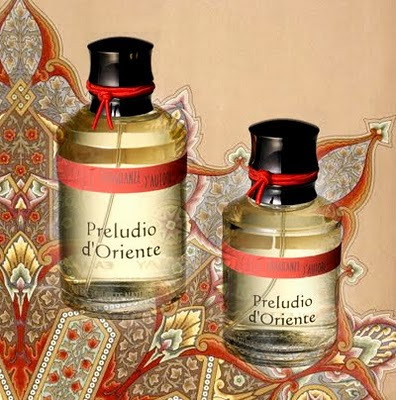 Preludi d'Oriente is available in 50 and 100ml sizes from www.ausliebezumduft.de for €65 and €90 respectively. Preludio d`Oriente sounds perfect. Leathery incense with citrus opening? I think i`d appreciate it here on the colder days that seems to be arriving here. Sounds like olfactory heaven and the bottles are beautiful!